I'm loving The Ugly Pumpkin and Abby's great Oh So Thankful unit! 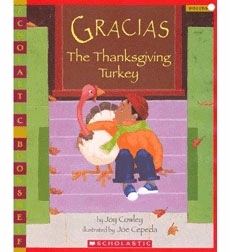 I'm loving another Thanksgiving book, Gracias the Thanksgiving Turkey. This is a really sweet book about a Puerto Rican family in New York City (I think?). The dad in the family is a truck driver, and he sends a turkey home to be fattened for Thanksgiving. As you can see on the cover, he becomes a part of the family and the son refuses to eat his little buddy! I can't wait to read this tomorrow or Friday to the kids. There are a ton of Spanish words interspersed, and I think my two Spanish speakers will get really excited about them. 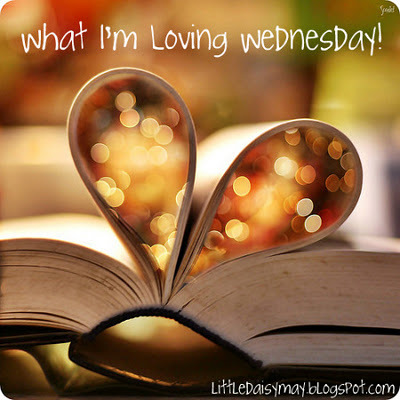 I'm loving that my kids had a great day on Monday with the sub! When I got to school, I had a nice note from her saying she had a great day. And all of the kids stayed at or above Ready to Learn on the clip shart! One even got to Super Student. Yay kids!! Thanks for the book recommendation-it looks great! I am always up for adding multicultural books to my library, and my kids love Joy Cowley's books. Glad you're feeling better! Heheh that Thanksgiving turkey book looks really cute!